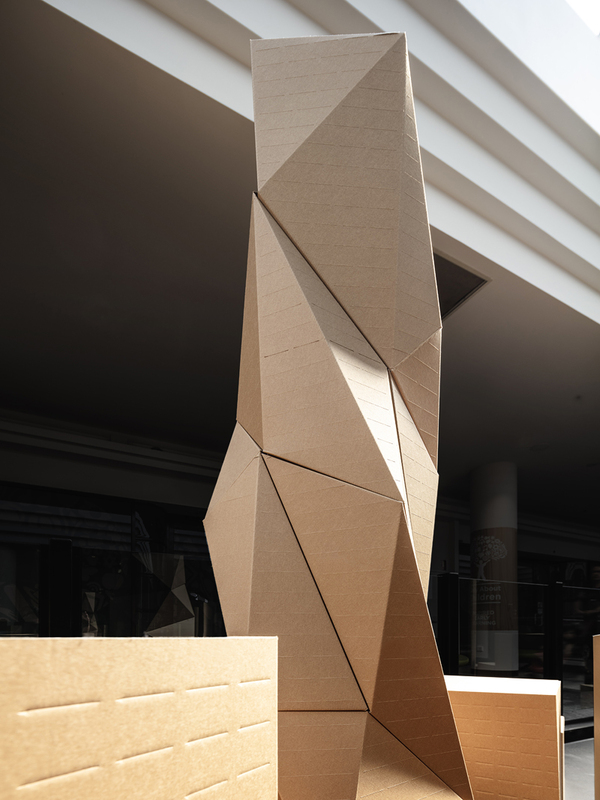 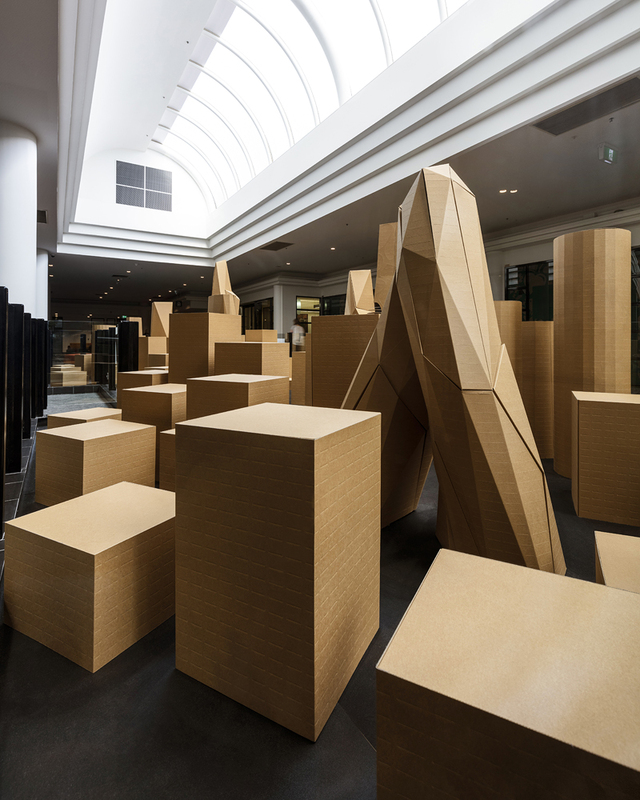 An installation at Highpoint Shopping Centre in Melbourne made from cardboard celebrates the beauty of cities and the wonder of human civilisation. 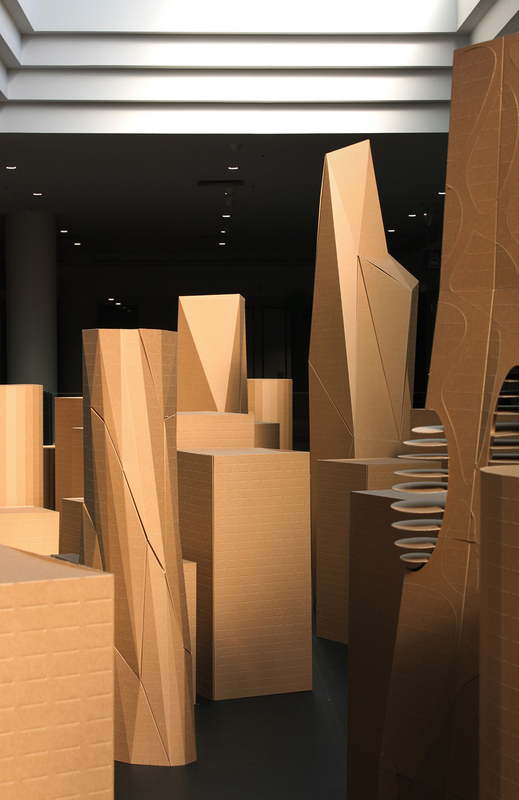 A toy city, an imaginary city, it is familiar yet strange. 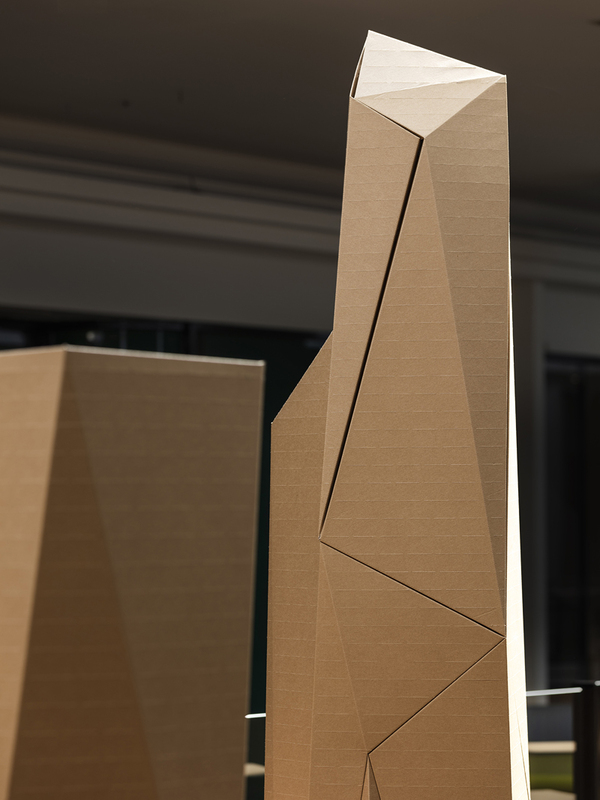 Scaled to make you feel like King Kong or Godzilla, it is urbanity as entertainment. 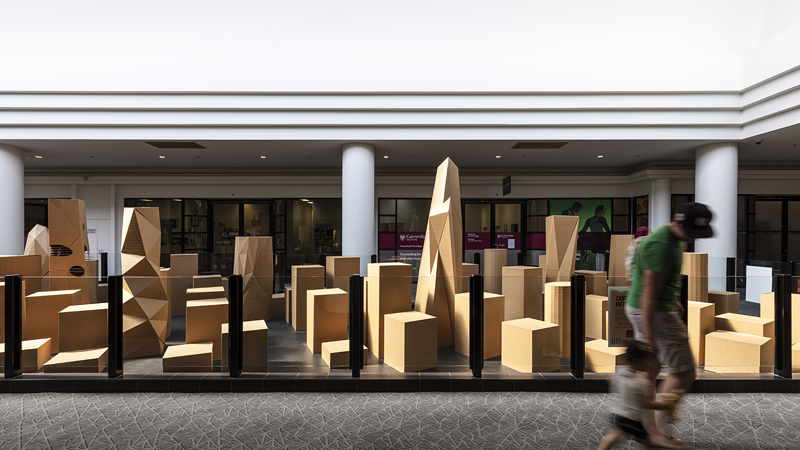 Centre management commissioned Fold Theory to design an artwork to fill a leftover space that could not be walked on. 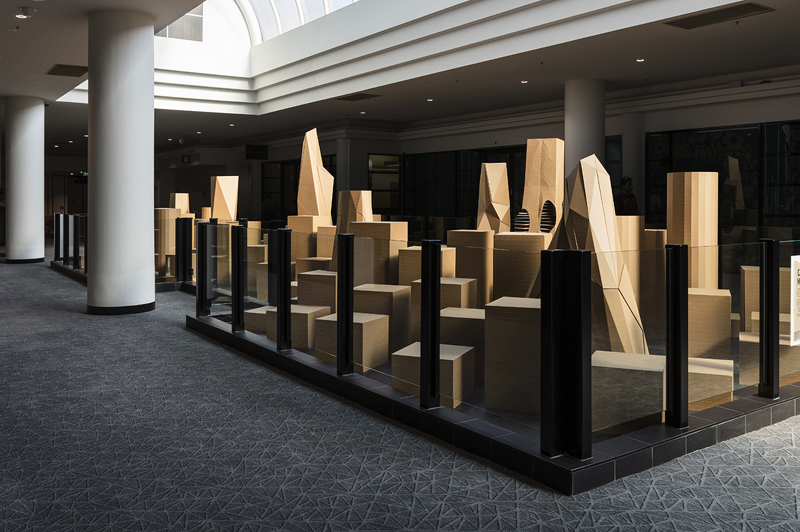 The floor was once a void but had been covered over by the ceiling of a retail tenancy below. 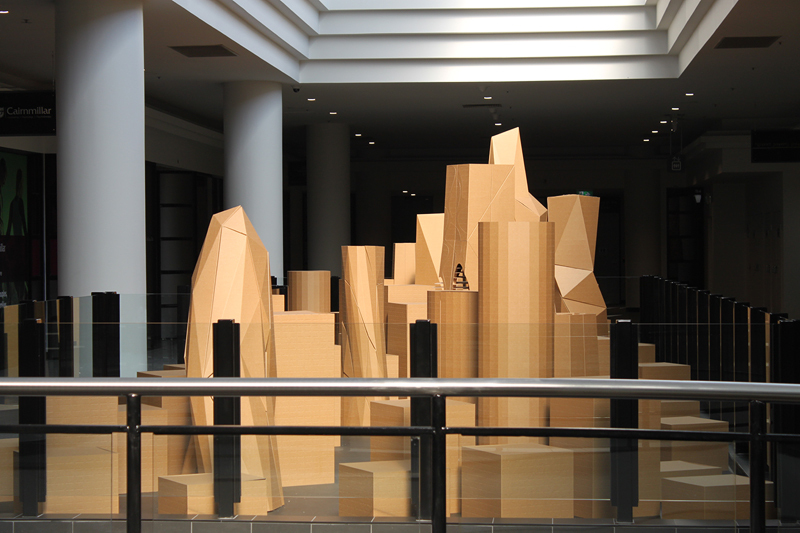 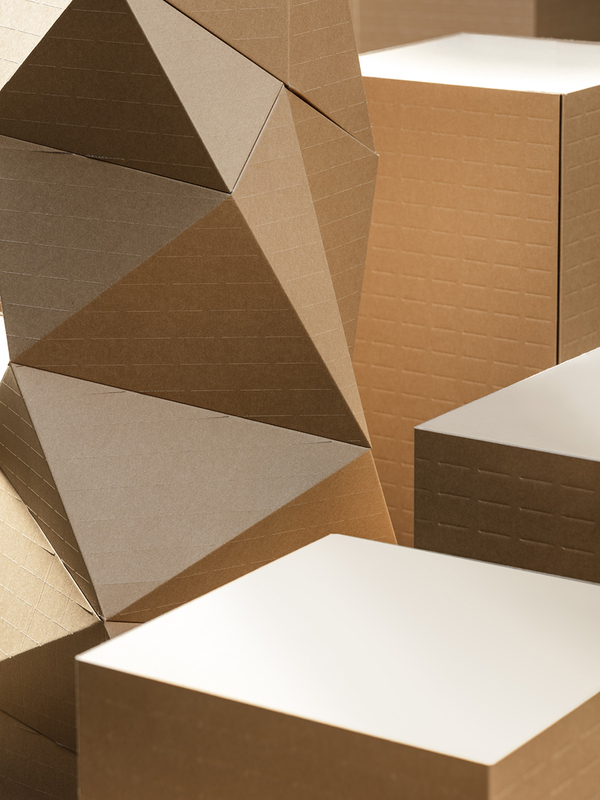 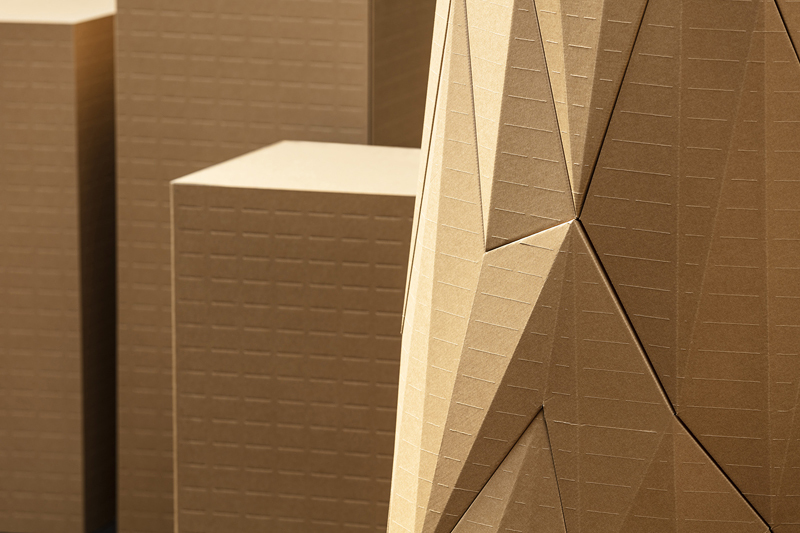 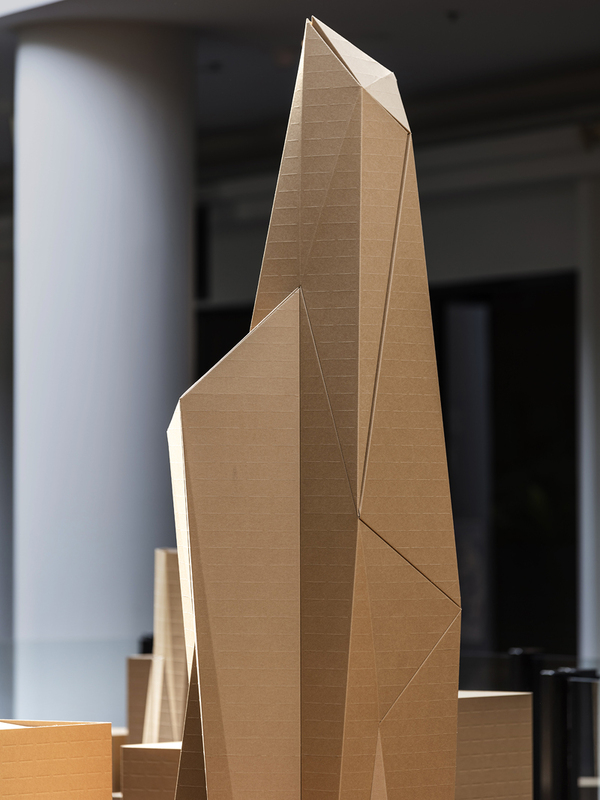 The artwork had to weigh less than 5kg per square metre, so cardboard was an ideal medium. 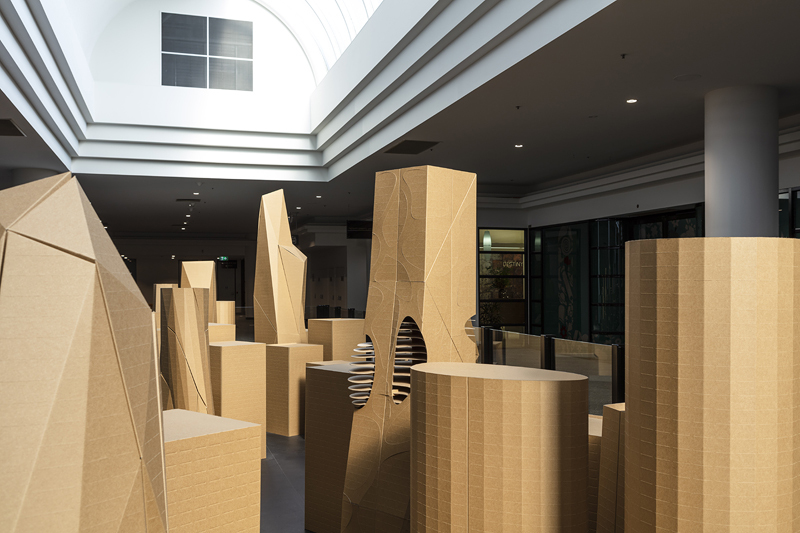 Made from 248 separate cardboard pieces slotted together without glue, the fantasy city will result in no pollution and zero waste.